Generously spray the 12” x 12” pan with Vegetable Spray to prevent sticking. 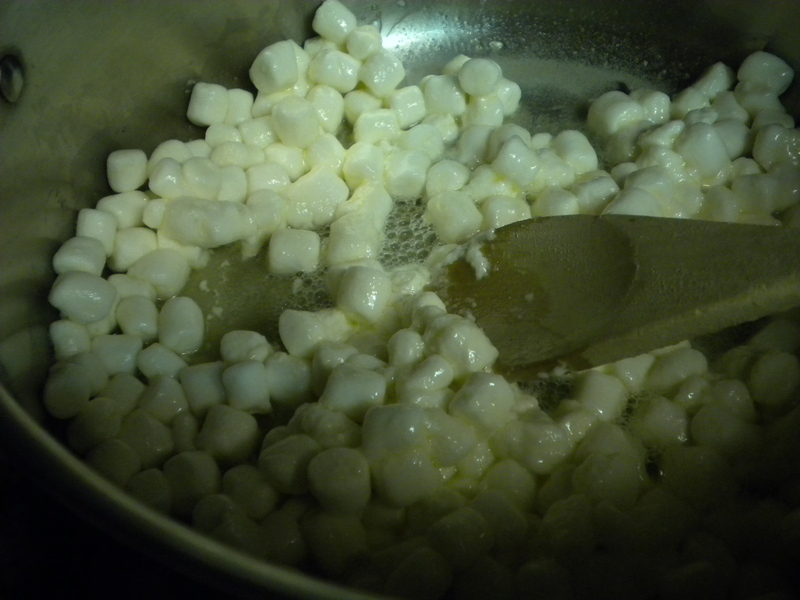 Add the Marshmallows and stir constantly with the wooden spoonuntil the Marshmallows begin to melt. 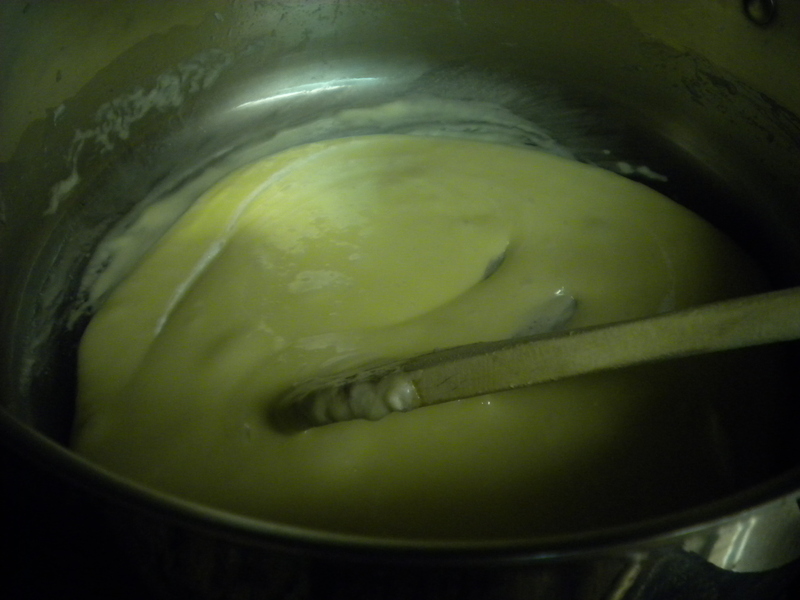 Stir in the chopped White Chocolate. Continue stirring until all the Marshmallows and Chocolate are melted. Remove from the heat and add the Rice Krispies®; mix until the Krispies are completely coated with the melted Marshmallows. 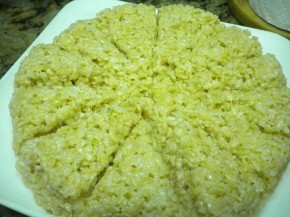 Spoon the Krispy mixture into the prepared pan; use waxed paper to push the mixture firmly into the pan. 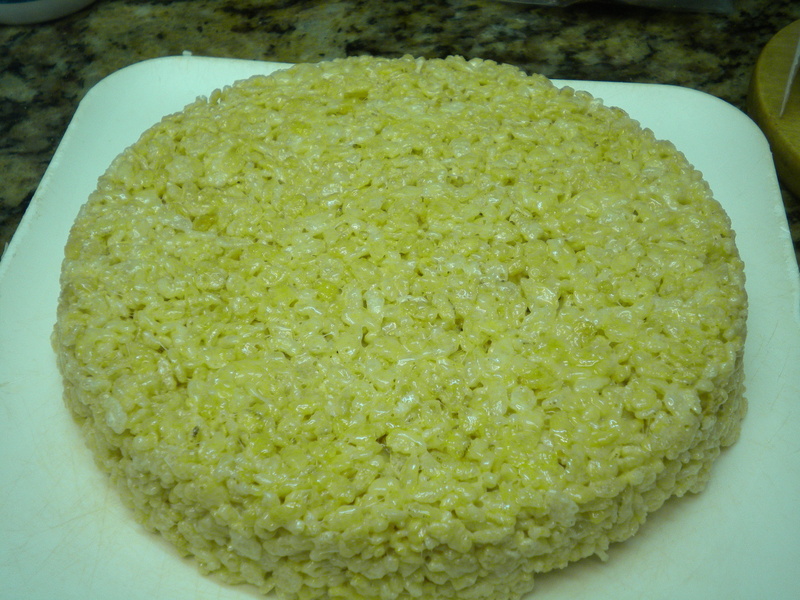 Wait 5 minutes then turn the Krispies onto a clean sheet of waxed paper or a cutting board. 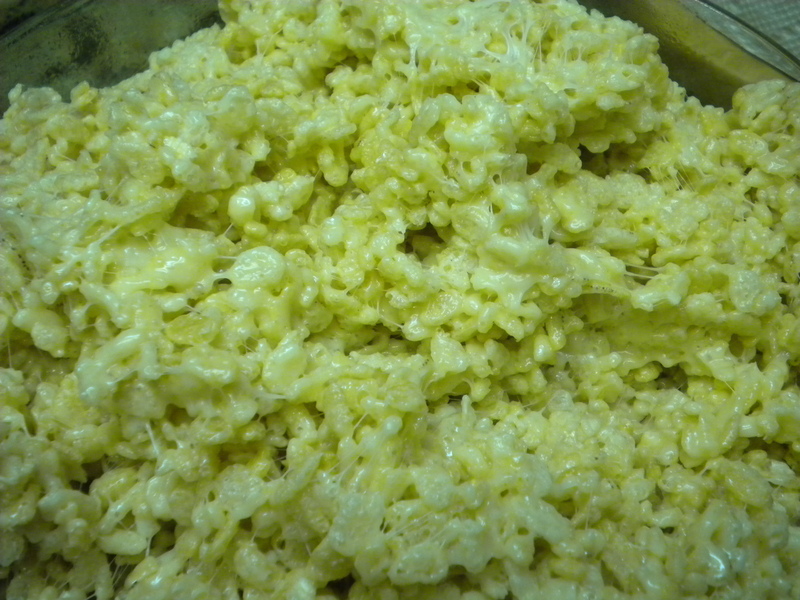 Note: Immediately fill the cooking pan with hot water; this will make it easy to clean.